November is Native American Heritage Month and I'm blogging about Susette La Flesche, an Omaha woman and activist I first wrote about in Women of the Frontier, 16 Tales of Trailblazing Homesteaders, Entrepreneurs and Rabble-Rousers. Born in Nebraska in 1854, Susette had French and Native American ancestry. That year the United States government promised the Omaha tribe would keep 300,000 acres of their land for their reservation. Susette's father believed the Omaha must accept this to survive the surge of white settlers moving west. 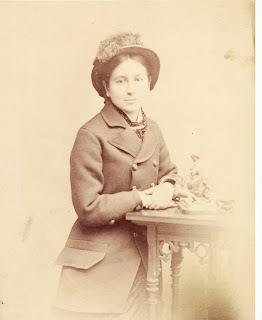 Young Susette learned to read and write English at the reservation missionary school. But-- as often happened-- corrupt government agents pocketed tribal funds while doling out shoddy goods and poor food. The Omaha faced hunger and suffering. And they knew, like other tribes, that treaties did not protect them from the threat of removal to Indian Territory, an arid, harsh land in present-day Oklahoma. ﻿﻿This happened to the Omaha's neighbors, the Ponca. In 1868 the government mistakenly handed over the Ponca's homeland to another native nation. In May 1877 United States' soldiers drove 700 Ponca south to Indian Territory "as one would drive a herd of ponies." Susette witnessed their plight first hand. If this could happen to the peaceful Ponca, and so many other tribes, why not the Omaha? Susette wrote the President, the Indian Commissioner, the Secretary of the Interior. "Because I am an Indian can you order me to the Indian Territory, New Mexico, or any place you please, and I be powerless to appeal to any law for protection?" she wrote. But the government could do what it pleased. In 1879 Ponca chief Standing Bear and about 30 followers fled the reservation in Indian Territory and headed back to Nebraska. Soldiers arrested the Ponca and marched them to Omaha. There, a journalist named Thomas Tibbles and several lawyers filed a case and took the government to court. 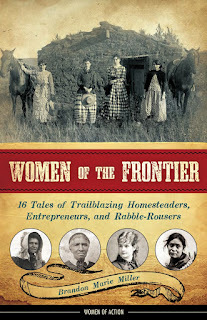 Susette supported them, writing about the horrible conditions the Ponca faced in Oklahoma. But the government claimed an Indian was not a person and had no rights under the Constitution. "Discontented and restless or mischievous Indians cannot be permitted to leave their reservations at will and go where they please," came word from the Indian Department. However, Standing Bear won his case and the judge declared an Indian was a person and couldn't be forcibly moved or confined without giving consent. The government said the court ruling applied only to Standing Bear and his band of 30, who could stay in Nebraska. But no other native people could leave their reservations. Tibbles and others urged Susette to join a speaking tour of eastern cities. Shy and soft-spoken, Susette overcame her fears and stage fright to advocate for Native American rights. She translated for Chief Standing Bear and spoke to huge crowds demanding fair and honest treatment of native people. Newspapers printed demeaning or incorrect descriptions of Susette, calling her an "Indian Princess" and a "dusky Indian maiden." The Ladies Journal wrote, "No such interesting squaw has appeared since Pocahontas." Susette testified before Congress and met President Rutherford B. Hayes. She asked that Indians be allowed to remain on their homelands-- lands deeded to them by formal treaties later broken by the U.S. government. She wanted Indians to have a say in how the government spent money meant for the tribes. She condemned the government for keeping soldiers on reservations to put down disturbances begun over native peoples' suffering. She decried that an Indian could be arrested without a trial. Read more about Susette in my book. "When the Indian, being a man and not a child or a thing, or merely an animal, as some would-be civilizers have termed him, fights for his property, liberty, and life, they call him a savage," Susette wrote. She denounced the corrupt reservation system which prevented Indians from earning their own living and taking care of themselves. Within that system, tribes faced starvation. "This system has been tried for nearly a hundred years and has only worked ruin for the Indian," Susette argued. Instead give native people title to their own land and grant them citizenship and protection of the law. 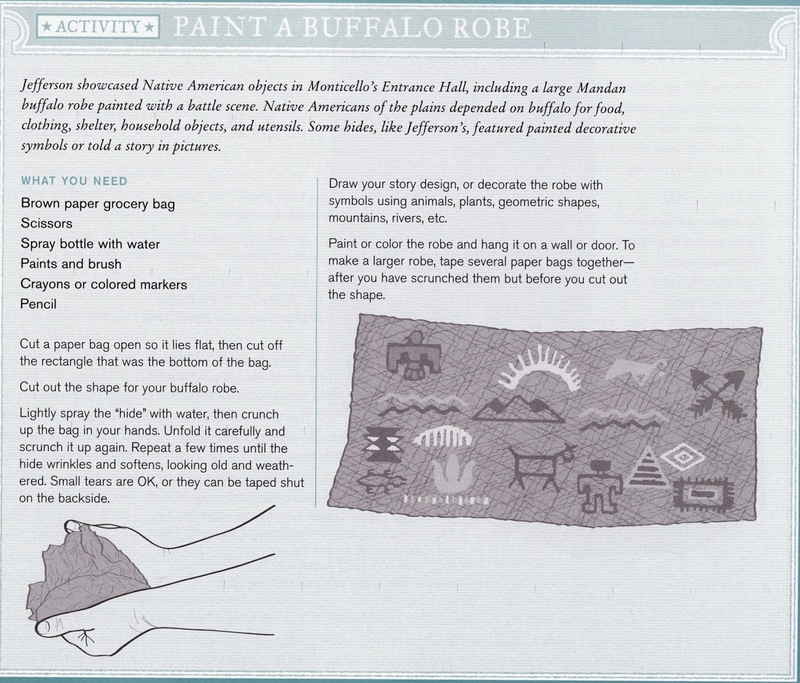 Susette also wrote magazine articles for children about traditional Omaha life complete with drawings of cradleboards, tipis, drying buffalo meat and clothing. She remembered listening, snuggled in her grandmother's arms, to stories of the old days when the Omaha lived free. "I often wonder," she wrote, "if there is anything in your civilization which will make good to us what we have lost." Susette worried she had not helped her people enough. She'd saved the Omaha from leaving their homeland only to see the original 300,000 acres shrink to 30,000 acres. Illness cut Susette's life short. She died only 49 years old, her life spent as a champion of native peoples through her pen and eloquent voice.